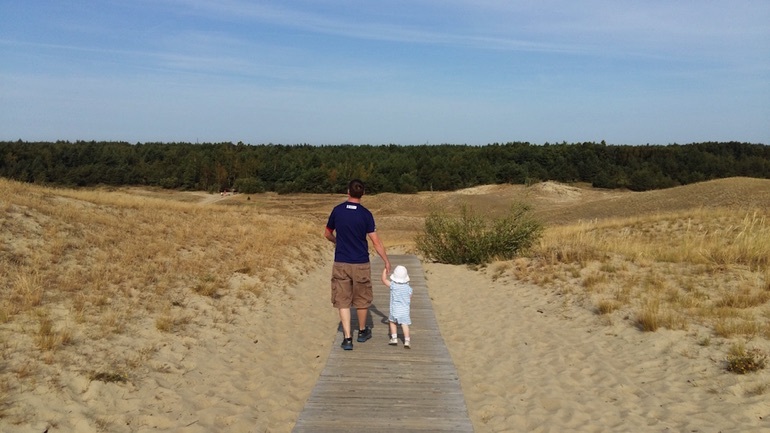 Sea, dunes and forest – but who brought the sand-phobic toddler? Liz Lowe carries a small person around Lithuania's Curonian Spit. She beckoned me to her computer and showed me photos of amber-flecked sand and endless, grassy dunes. That evening I showed my husband the same pictures. “When are we going?” he asked. 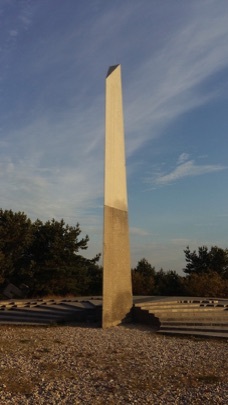 Standing alone by the sundial at the top of Parnidis Dune, where it's possible to watch the sun rise from the Curonian Lagoon and set into the Baltic Sea, I was glad I'd asked. We drove for two hours on an almost entirely straight road, from Kaunas – Lithuania's second largest city – to Klaipėda, home to the ferry port for the Curonian Spit. We'd flown into Kaunas rather than Vilnius, with its celebrated old town, to shorten the drive. I was newly pregnant, and travelling with my husband Ian and 18-month-old daughter Isla. Two of us were in favour of an hour less of nursery rhyme CDs. The third one just wanted to know why I'd forgotten to pack the rice cakes. From our Nida apartment, it was a short walk through the trees to the top of Parnidis Dune – at around 50 metres, the highest on the spit. 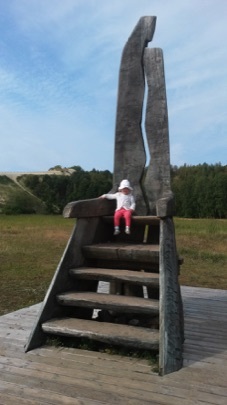 The following morning, I left Ian and an unconvinced Isla navigating a Russian cartoon channel, and took an early stroll to enjoy the view across the dunes to the water and over the border to the lookout towers of Kaliningrad. There is a sign at the bottom of Parnidis Dune that states that each person ascending or descending the dune pushes down several tons of sand, and the dunes move between 0.5 and 10 metres every year. As I walked down the steep steps from the dune to the lagoon's edge, I was struck by the fragility of this landscape with its shifting sands. More so, perhaps, because of our own changing environment and the baby swelling inside me. We drove to the entry point for the Dead Dunes – also known as the Grey Dunes – in the Nagliai Nature Reserve, near Pervalka. The macabre name tells of a sad history: several hundred years ago – after the forests had been decimated by logging – the dunes began creeping towards the lagoon and swallowed up four of the oldest settlements. The reforestation of the 19th century was the beginning of a dune stabilisation project that is still ongoing. 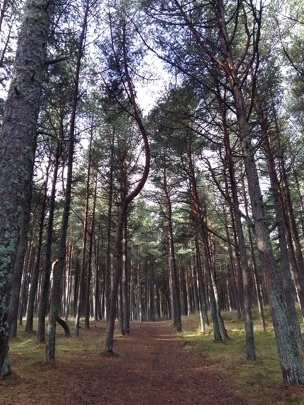 In 1991, the Curonian Spit National Park was established, and the entire spit has been a UNESCO World Heritage Site since 2000. We followed the boardwalk as far as we could, continuing along a permitted route through the sand. Our progress was slow. “What's wrong?' asked my husband looking back at Isla who, rooted to the walkway, was shaking her head vigorously. “No. No sand,” she said. We'd been to the beach before, and sand had not been an issue. But, in true toddler style, this sand, here, was not acceptable. On we went – Isla hoisted up on my husband's shoulders, shooting distrustful glances at the ground below. The lookout from the top, over lagoon and sea, was worth the walk and the weight of the toddler. My husband put Isla down briefly, to get his camera. She screamed and leapt into my arms, frantically brushing a few grains of sand off her feet. UNESCO estimates that only around six per cent of the land on the spit is taken by urban dwelling: that leaves a lot of trees and sand. And a lot of toddler-carrying. The following day was sand-free. We hired bikes and a trailer; cycled through Nida and along the edge of the lagoon, past brightly painted postcard-perfect fisherman's houses. We boarded the tiny ferry to The Curonian Spit, ready for five days of life at a slower pace. The narrow spit is 98 km long, of which 52 km belongs to Lithuania. The rest lies in the Russian enclave of Kalingingrad. At its widest point, the spit stretches nearly four kilometres between the Curonian Lagoon to the east and Baltic Sea to the west. The narrowest part is just 400 metres wide. We were staying a few kilometres away from the Russian border in Nida, the largest of four main villages. Driving south, we passed sheltered bays, fishing boats, parks and lagoon promenades. Shady wooded trails ran alongside the road; we watched cyclists between the trees and caught glimpses of large dunes beyond. We couldn't wait to get outside and explore. After some time by the lagoon we were keen to see the sea. My daughter saw the sand and stopped, shaking her head. We continued, with her on my husband's shoulders, until he saw the sign with the water temperature and stopped, shaking his head. It was late August and the temperature was 15 degrees. Having swum in the lochs of Scotland the previous year, I wasn't so easily deterred. Until I saw the small jellyfish: the advantage of the Scottish loch was that you couldn't see what was in there. I shook my head and we headed to the beach bar. The sea was like a mirror that day, and we watched children splashing and paddle boarders floating by. In stronger winds, kite surfers leap from the waves. Slowly, my daughter got into beach life, burying her father's feet in the golden grains. By the time we left, she walked over the sand on her own. Back home, when people asked “Why Lithuania?” we reached for our own pictures of amber-flecked sand and endless grassy dunes. Nida is compact: it has a supermarket, a selection of restaurants to choose from, several play areas and enough shops for holiday browsing. I passed an enjoyable hour visiting the Amber Gallery Museum, and looking at locally-made jewellery nearby. The spit has a creative undercurrent. German novelist Thomas Mann was so inspired by the place that he built a holiday home there. Today, there is a museum dedicated to him, and the Thomas Mann Cultural Centre is responsible for many events, including an annual arts festival. Nida's restaurants were all relaxed and family-friendly, with a good deal of overlap on the menus. If you like fish and potatoes, Lithuania is a prime culinary destination. Happily, my morning sickness meant that I craved little other than potatoes: I'm now a connoisseur of crispy bulviniai blynai (potato pancakes). Refreshing Šaltibarščiai - a shocking pink, cold beetroot soup made with buttermilk and onion - was another favourite. In Juodkrantė, near Witches Hill, we watched people buy smoked, dried fish from hatches and eat it on park benches overlooking the lagoon. Having enjoyed the cycling – and needing to work off some potatoes – we hit the forest trails. 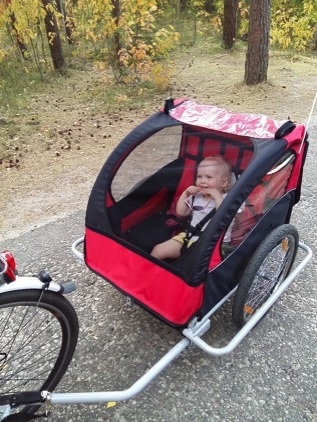 Breezy and peaceful, they are ideal for family cycling. Sitting eating peaches on shady benches, with juice dribbling down our chins, I realised how quickly we'd relaxed here. 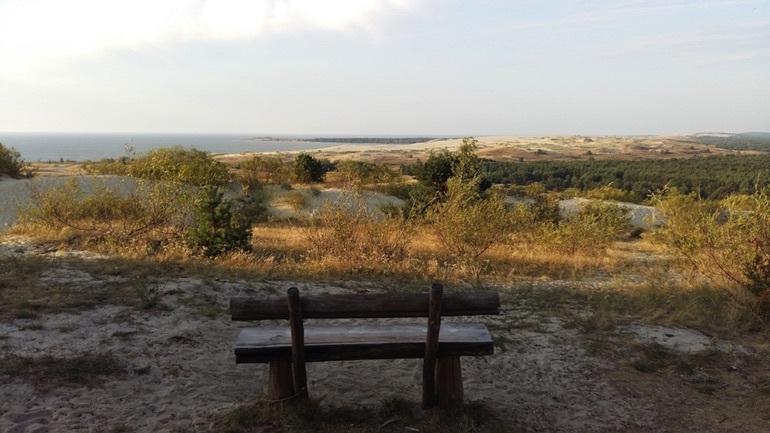 People come to the Curonian Spit for many reasons: walking, cycling, boating, watersports. Bird watchers flock there between April and September as millions of birds stop off during their annual migration. After just a few days I was seduced by the landscape and the slow calm. Liz Lowe is a freelance writer based in Bath, UK. Liz spent many years working in the wine trade, combining some of her favourite pursuits: eating, drinking and travel. After having children, and to give her liver a break, she began journalism training. Liz loves yoga, reading, wine and chocolate, and can currently manage three out of four at the same time.